For any Emergency Locksmith , you’ve come to the right place ! Local Locksmith takes the security of your home and properly seriously . In fact it’s our number one concern , When it comes to Professional locksmith services , you’ve come to the right place ! Residential locksmith services can substantially improve the security in and around your house . Services include lock change, Lock replacement , rekeying lock etc ..
To summarize our Emergency locksmith services available throughout the Montreal And Laval area , we operate 24 hour 7 days a week .Our locksmiths are here to get you back on the road or back into your house or place of business. Our main goal is to get your emergency situation resolved for you as soon as possible because we know how valuable your time is ! 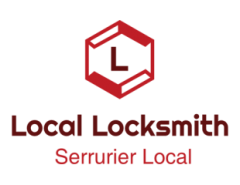 After all our name is Local Locksmith for a reason . We are Local & have the best prices guaranteed !